Behavioral health organizations serve critical roles in the care and well-being of vulnerable, costly, and difficult-to-engage patients. 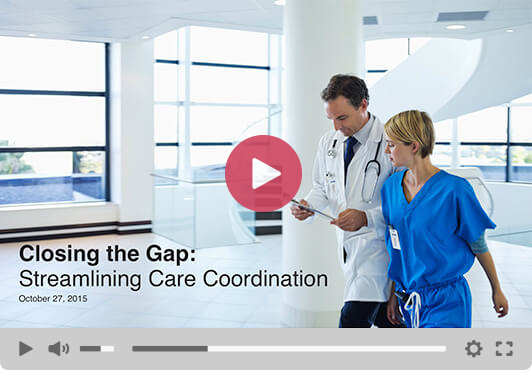 Essential to finding and serving these uniquely challenging patients is immediate awareness of when and where they engage care. 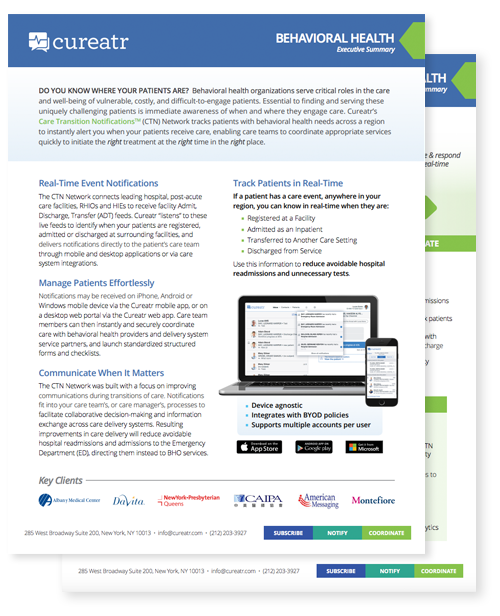 Cureatr’s Care Transition Notifications (CTN) Network tracks patients with behavioral health needs across a region to instantly alert you when your patients receive care, enabling care teams to coordinate appropriate services quickly to initiate the right treatment at the right time in the right place.